Have you checked for Asbestos? Did you know most buildings constructed before the year 2000 have Asbestos present? Mid 19th century the large scale asbestos industry began. Using Asbestos was very widespread because this product had multiple uses. Asbestos was commonly used within buildings and also many other household items. In 2011 it was reported that over 50% of homes in the UK contained Asbestos despite asbestos products being banned years earlier. Asbestos is a set of six naturally occurring silicate materials which if inhaled can cause you serious harm. 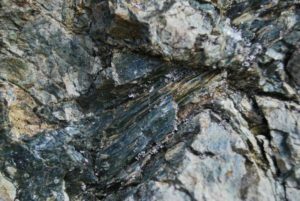 The most hazardous types of asbestos are Amosite and Crocidolite. 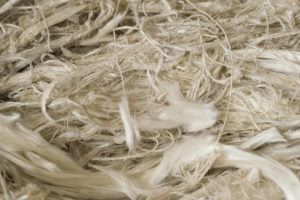 The Asbestos fibres have been known to cause tumours in humans as well as animals. We would highly recommend testing for asbestos if you live in an older building that has not been checked. Asbestos material was mainly used in building materials because it had so many diverse purposes. The material could be used within concrete, bricks, pipes, fireplace, cement and many other products. The production of Asbestos didn’t slow down until 1990 after its peak during the 1960’s. Asbestos wasn’t banned in the UK until 1985 and even in 2018 it is still an issue. What to do if your home has Asbestos? If your home does have Asbestos present, the most important thing to do is get a qualified contractor to inspect and sample the infected material. If contamination is found in your home it is advised to get either a licensed contractor to remove it, or a certified kit to encapsulate it. Asbestos not being removed professionally would mean the fibres could be exposed into the air. Only as a last resort should the Asbestos be removed, but this depends on the circumstances and if it is safe to do so. When removing large quantities of Asbestos, the area needs to be encased thoroughly in an enclosure. After enclosures are built, a full test will be done to ensure that the area is safe and secure and only then will any work take place. Asbestos may be dangerous, but can easily be treated with the right products. The three products that we recommend are part of our Asbestos encapsulation kit. The kit we provide is a certified system for encapsulating Asbestos. Our asbestos encapsulation kits includes Mathys Dacfill and Primer 44HS and also Thinner 22. These products when used together create the certified system, we always recommend contacting someone in our technical team before you decide to use this system. If you would like to talk to one of our technicians, then please call us today on 01902 710057 and we can help determine what the best solution for you is. Not only that, but our technicians can also help advise you with any other specialist coatings queries.